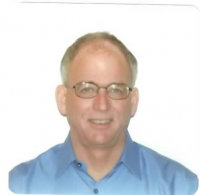 David Arnsdorf has over 30 years of experience in manufacturing, engineering and management. He has led hundreds of Value Stream Mapping (VSM), A3, and Kaizen Improvement Events. He has also conducted Lean Six Sigma (LSS) planning sessions with senior management and successfully guided several organizations in implementing LSS. David is a skilled data analyst with a deep knowledge of statistics, an understanding of database structure and design and how they integrate into the larger processes. Over the years, he has developed a lean assessment process for hospitals designed to quickly uncover projects with large dollar savings potential. He has led process improvement projects in several clinics in Michigan including reducing errors and Rx fill time in a pharmacy and improving customer service of reception processes. He has coached Lean Six Sigma (LSS) Green Belts working on improvement projects, and led Lean process improvement projects in the surgery pre-registration and registration that substantially reduced surgery registration time. Prior to joining Liker Lean Advisors, David was a Senior Lean Six Sigma Coach and Project Manager with Altarum working with senior hospital management in a large hospital system to improve hospital performance and reduce costs by implementing LSS. He trained staff in LSS principles, led value stream mapping projects in the ED patient visit process reducing costs and total patient visit time, in-patient floors reducing length of stay by 18%. He also helped improve an out-patient chemotherapy clinic patient visit process saving millions of dollars in chemotherapy drugs per year. He also Led improvement teams working on the OR process, patient discharge process, Lab sample processing process that reduced time to get lab results by 30%, In addition, he helped improve the layout of an OR facility for a large hospital using LSS principals that resulted in a smaller building saving $10M in building costs. Prior to Altarum, David has held positions as the President of the Alaska Manufacturers’ Association, a Project Manager at the Michigan Manufacturing Technology Center and a structural engineering manager at Bechtel Power Corporation. David is an adjunct Instructor for the University of Michigan Lean Extension programs in Manufacturing and Healthcare for 13 years. He has developed and teaches courses in: Lean Accounting; and in 6 Sigma for Lean, Value stream Mapping, A3 Problem Solving, Leading Lean, Lean Factory Layout, Cell Design, and Material Handling. Lean accounting covers estimating the cost impact of improvement projects, impact of lean on standard accounting systems and on cash flow and profits. Mr. Arnsdorf holds a Bachelors of Architectural Engineering from Penn State University and a Masters in Civil Engineering from the University of Michigan – Ann Arbor. He is a Lean Six Sigma Master Black Belt and is a P.E. licensed in 3 states.